To block or minimize pain through the use of prescription medication taken orally or by injection. 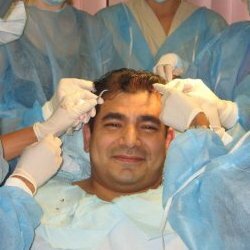 During a hair transplant the anesthesia used is generally xylocaine mixed with a small amount of epinephrine. These injections help to numb the scalp during the procedure.